This weekend we headed over to Mud Lake Trail in Ottawa, Ontario which is about 5 minutes from our house. It isn’t our normal hiking trial and it was recommended by a co-worker to check out. Not even in the trail and we found this little guy on the ground. 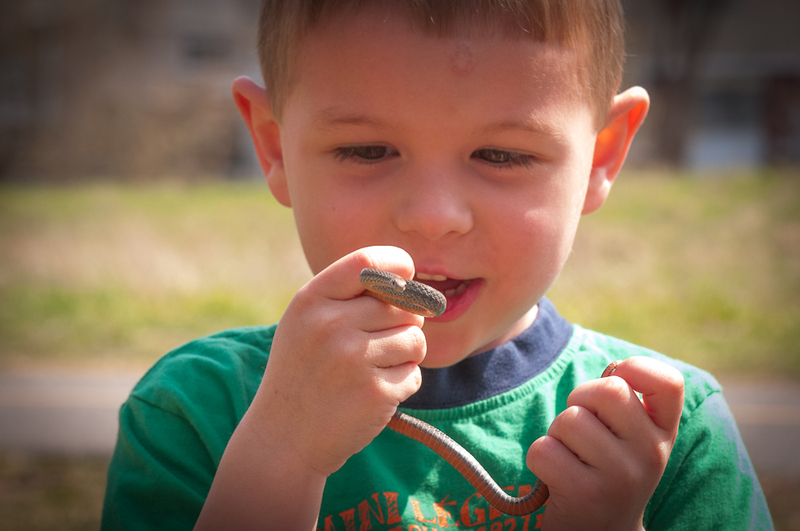 Matthew seemed to be in a adventures mood that morning so I asked him if he would like to hold the red belly snake. He said yes and I immediately took some shots before he crushed it in his hands or something.